The Pinedale, Wyoming area offers both groomed trails and off track skiing in the Wind River, Gros Ventre and Wyoming Mountain ranges. The vast open spaces offer solitude, diverse terrain and the freedom to go as far as you want. Skyline Drive is 25 km: 20 km in the White Pine/Kelly Park area and 5 km at the CCC Ponds. Those are trails groomed with a classic track and a skating lane. White Pine Resort Lodge is open during the winter season with food services available. Restrooms are available at the Lodge and at the Nordic warming hut near the parking lot. After December 15th, the CCC Ponds walking path is groomed as a cross-country ski trail, as snow conditions permit. 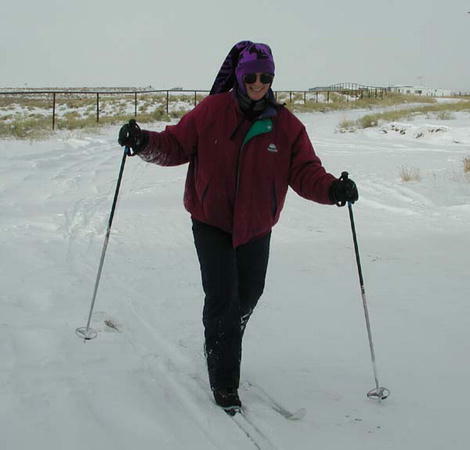 With enough snow, the Pinedale golf course may also be available for cross-country skiing. 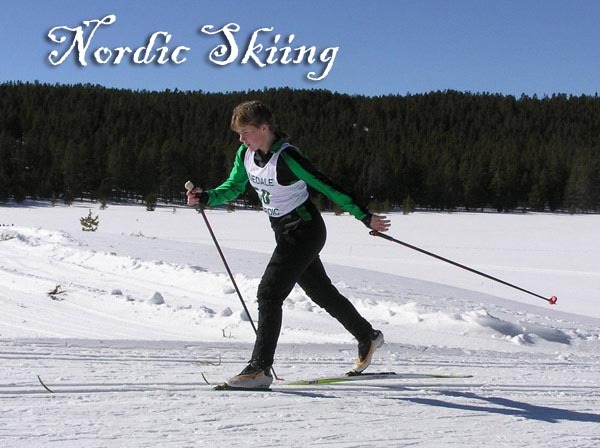 Nordic ski equipment rentals are available in downtown Pinedale at the Great Outdoor Shop. 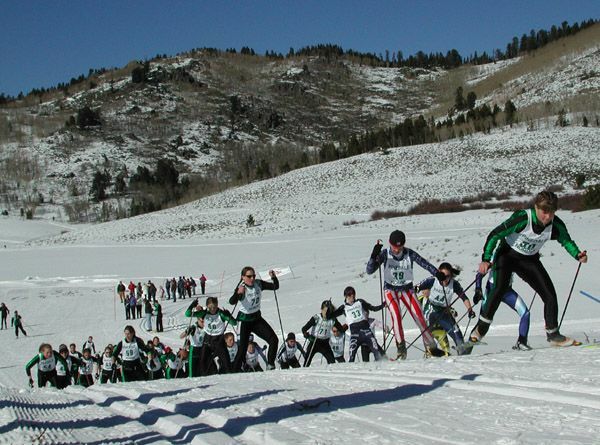 Skiing in the Wind River, Gros Ventre and the Wyoming Mountain ranges is on logging roads and off track, and is generally for intermediate and advanced skiers. There are over two million acres of public land in Sublette County, providing vistas of incredible beauty to the nordic skier. 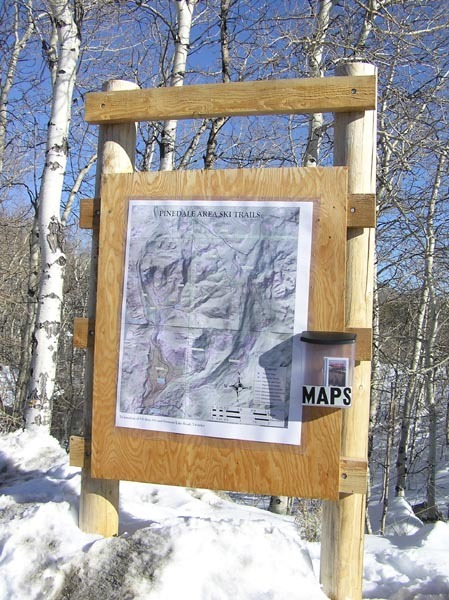 Detailed trail maps are available from the Pinedale Ranger District of the Bridger-Teton National Forest, 307-367-4326. 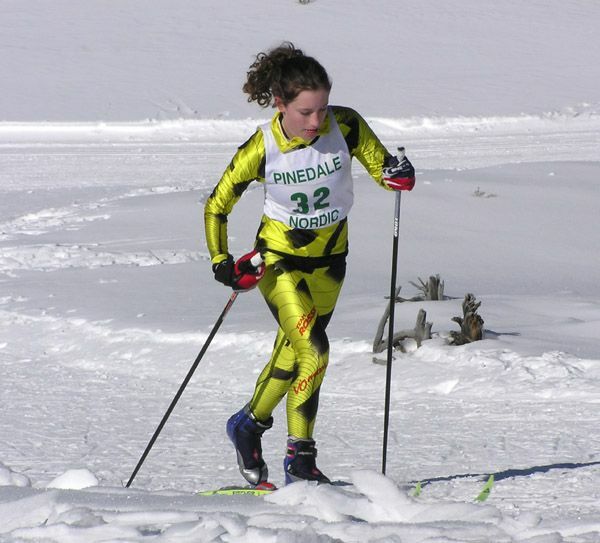 Season: The skiing season typically runs from December through mid-April. A note about safety: Many ski trails are at elevations of greater than 8,000 feet in elevation which may affect those not used to high elevation conditions. Also, winter storms can descend rapidly in this area. Backcountry trails may pass through avalanche prone terraine. Please come prepared. All trail distances are one way (not round trip) along the trail unless otherwise noted as a loop trail. Trail B leaves Trail A 3/4 mile from Fremont Lake Road and provides beautiful views over Half Moon Lake and Fayette Lake before connecting with Trail I. Trail B is a difficult trail requiring caution, and is for the accomplished skier with an overnight trip in mind. Slopes adjacent to the trail may be susceptible to avalanche, be careful! Beginning at Fremont Lake Road, there are three choices. About 1/2 mile up the trail, a junction leads toward Trail E. The total distance to Trail E is 2.4 km, (1.5 mi). This is a very easy option. The second option begins at Fremont Lake Road and goes one mile up the trail to the Trail C junction which leads to Trail A. This is also an easy option. The last option begins at Fremont Lake Road and goes up Fortification Mtn. 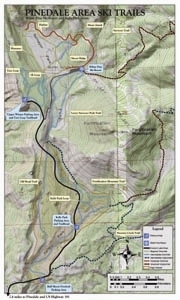 then connects with Trail H. Total distance from Fremont Lake Road to Trail H junction is 5.7 km, (3.6 mi). This is the most difficult choice with a steep climb up Fortification Mtn. Trail F is maintained by the Pinedale Ski Education Foundation, a local non-profit organization formed to promote nordic skiing. 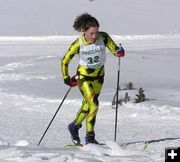 Trail F provides excellent opportunities for both classic and skate skiing. Please do not take your dog or snowmobile on the trail. Several trails connect into Trail H providing the opportunity for loops. Although Trail H is an easy trail, access is very difficult. A quick and easy route that connects Trail H with Trail I. The unplowed road between White Pine Ski Area and Elkhart Park is 6.7 km. (4.2 mi). This is a fairly steep climb, but very wide. Watch for snowmobiles on the road. Leave an Itinerary with friends showing your route and expected return time. Remember to let friends know that you're back safely. Do not underestimate the time needed. Deep and drifting snow can slow you to fractions of a mile per hour. Check your watch and map frequently to check distance covered and distance remaining. Turning back before reaching your objective may be disappointing, but it may save your life. Take a map and compass and become familiar with the terrain. Check your map for the proper route. Set the pace to suit the least experienced or slowest member of your party. Storms and bad weather frequently are great threats while skiing in the Wind River Mountains. High elevations and mountainous terrain make sudden changes and adverse weather common. Check weather forecasts to avoid being caught in a heavy and sometimes sudden storm. Dress for comfort in a variety of conditions. Several layers of clothing will allow you to add or subtract articles as weather and body heat change. Be aware of the signs of, and precautions to prevent and care for, both hypothermia and frostbite. Hypothermia may be a new word to you, but exposure probably isn't. Hypothermia is the rapid, progressive mental and physical collapse that accompanies the cooling of the inner core of the human body. It is caused by exposure to cold and is aggravated by wind, exhaustion and if you become wet. It is the primary killer of outdoor recreationists. To help prevent hypothermia, dress properly and stay dry. A warm cap is essential. Be well rested and properly nourished. Leave all alcohol at home. Alcohol dilates blood vessels which then accelerates the body's heat loss. When the trail is unbroken, a snowmobile track is a welcome track to many skiers. However, once a ski track is established, a snowmobile can destroy it. Snowmobilers should travel adjacent to established ski tracks. If you are a snowshoer or snowmobiler, please yield to skiers. You have better control and can help avoid accidents. Skiers moving down slope have the right-of-way. Don't stop in narrow or steep trail sections if it can be avoided. To contact Pinedale Online, call 307-360-7689, e-mail: support@pinedaleonline.com, or stop by our office located in Office Outlet in Pinedale, 43 S. Sublette Ave. Copyright 2014, all rights reserved. Photos by Pinedale Online unless otherwise credited. May not be used without permission.